With a name like KG Theaters you can be assured we don't just sell you the equipment and stop there. We work with you to assure the best possible sound, video and lighting performance. A good theater is more than just a bunch of flashing lights and subwoofers that go boom. We can design and build just about any theater you can imagine from the simple to the F16 of theaters. We can help you plan the acoustics, sight-lines, speaker layouts, riser layouts and dimensions, lighting layouts, electrical, fabric selection etc. We offer a full line of Home Theater seating , as well as Acoustic Packages. If it doesn't exist we have the carpenters, electricians, etc. to build it. We can also custom build any theatrical element you desire including carvings, columns, moldings etc. Your limit is your imagination. If you need an inexpensive Home Theater we can help with that too as we have a wide array of products to choose from. In today's world most things can be controlled by your I-Pad or your Android Phone. One of our Favorite Examples of this is the Lutron QS and Lutron RA2 systems. These systems are easy to use and allow the user to control lights, thermostats and shades all either in the home or remotely with full feedback. You can see it happen. Couple that with the ability for a homeowner to reset the scenes to any level they want or change the system and it's an amazing system. In the right hands this lighting control system is a wonderful addition to any home. Never come home to a dark house again. We offer a wide variety of products for Home Automation. We can control temperature, gates, garages, cameras, lighting, temperature sensors, audio, video, curtains and shades and in short just about anything you can imagine. From the extremely simple to the supremely complex we can control it. You can control everything from your I-Pad, I-phone, Android Phone or Tablet, Computer and Remote. All at home or away. We have the expertise to keep it simple and clean where you can use it everyday. We can install simple whole house audio products like Sonos or complex whole house and higher quality products like products from Audio Design Associates. Our policy is to find what fits you best. If you just want background music it's one thing. If you want stellar high quality audio in every room it's another. We listen and assess your needs and then design the system to fit how you live. Do you want to put TV's on the wall everywhere but don't want to see the components. We can help with that. Let us help you design and install a solution that is right for you. Did you forget to turn the heat on? Is it going to be 28 degrees? Will your pipes freeze? Believe it or not this actually happened to me. I found myself out of town when the weather in Texas did it's usual flip. Suddenly it was 25 degrees outside and my heat wasn't on. I had to call a good friend to come over to my house and turn on the heat. He found it rather funny given what I do. 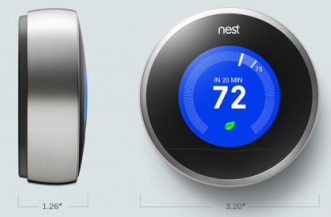 Today controlling Temperature in your home remotely is easier than ever thanks to products like NEST. I have one and love it. While it's not right for the larger more complex systems it's great for the small home. We offer solutions for every type of home. KG Theaters is now NEST Certified!